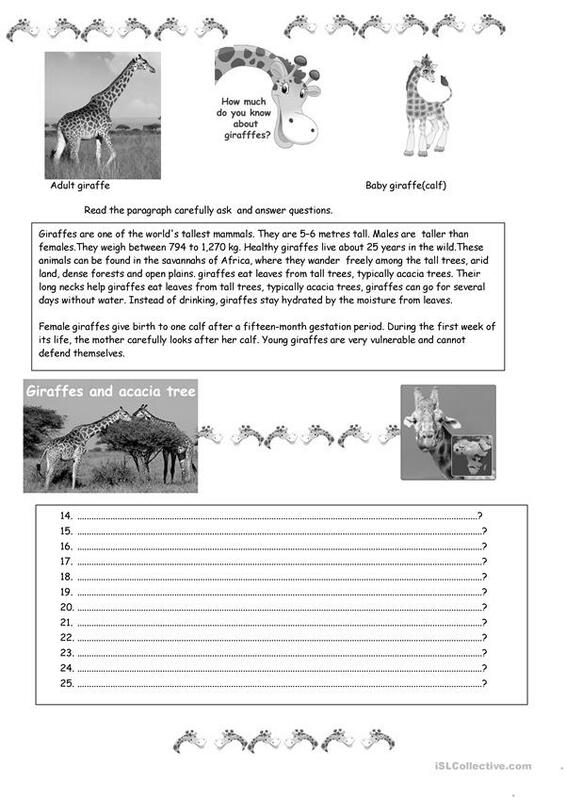 Colour and B&W ws .Reading comprehension "How much do you know about giraffes? "Sts have to read a short paragraph and ask and answer questions to their classmates. The above downloadable worksheet was created for high school students, elementary school students and students with special educational needs, learning difficulties, e.g. dyslexia at Elementary (A1) and Pre-intermediate (A2) level. It is excellent for honing your class' Speaking, Reading and Writing skills.